There is currently a national crisis of opioid abuse and overdose related deaths in the U.S, with the over prescription of these drugs being implicated as the main culprit. It is estimated that as many as 259 million opioid prescriptions were issued in 2012, four times the number prescribed in 1999. Prescriptions after surgery are the second most common reason that patients are given narcotics, and there is a growing body of evidence to suggest that persistent opioid use after surgery is an underappreciated problem. Recent articles have demonstrated that 6-13% of patients who underwent minor or major surgical procedures continue to use opioids chronically after surgery. Cancer patients can be especially vulnerable to addiction in this setting due to the anxiety and depression that can accompany the diagnosis. In addition, the oversupply of opioids by prescribers following surgery contributes to a large reservoir of unused prescription opioids, which run the risk of diversion for nonmedical use by patients and others in their household. There is an overall lack of data-driven approaches to optimal opioid prescribing after surgery. Given that the Montefiore Head and Neck Surgery division performs a significant number of thyroid and parathyroid surgeries each year, the surgeons felt that these procedures would be an ideal target for optimizing postoperative pain medicine prescriptions to adequately treat patients’ pain while avoiding over-prescribing narcotics. A survey was taken on 90 patients who underwent a thyroidectomy or parathyroidectomy at Montefiore, with approximately 30% of them being for thyroid cancer. On average, they were prescribed 20-25 oxycodone pills after surgery. Of the close to 2000 pills prescribed, only 20% of the pills were reported as taken by the patients after their surgery. The average number taken was 3 pills and almost half the patients did not use narcotics at all. The majority of patients reported they had leftover pills in their house months after their surgery, and only 2 patients had returned their unused pills to the pharmacy or physician. The prescribing patterns for these procedures were then altered with the ideal number of pills prescribed that would have satisfied at least 80% of patients based on the survey. Patients have been instructed to start with non-narcotic medicine and use the narcotics only for breakthrough pain. Despite limiting the prescriptions to a maximum of 10 pills of oxycodone after surgery, with a fair number of patients not getting any narcotic pain medicine prescribed, the head and neck surgical team has not had any patients request refills of pain medicine or report inadequate pain control. These results suggest that using a standardized, data-driven approach to postoperative pain regimens can significantly improve prescribing patterns after surgery. The Montefiore Division of Head and Neck surgery was able to drastically cut-down on the number of narcotics pills being prescribed after thyroid and parathyroid surgery and still adequately manage patients’ pain, which thereby limits the number of pills available for misuse. These concepts are especially important when patients are faced with potentially life-altering cancer diagnoses. By expanding these efforts to other procedures, cancer sites and surgical services at Montefiore, we hope to further help curb this devastating epidemic of narcotic abuse and overdose-related deaths that is currently plaguing our nation. 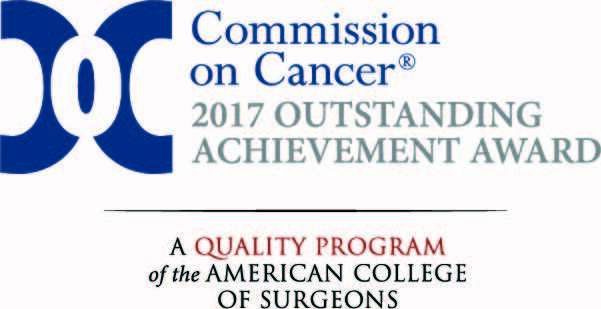 Montefiore Einstein Center for Cancer Care has joined an elite group of cancer programs that have earned a Three-Year Accreditation with Gold Level Commendation from the Commission on Cancer (CoC) of the American College of Surgeons. 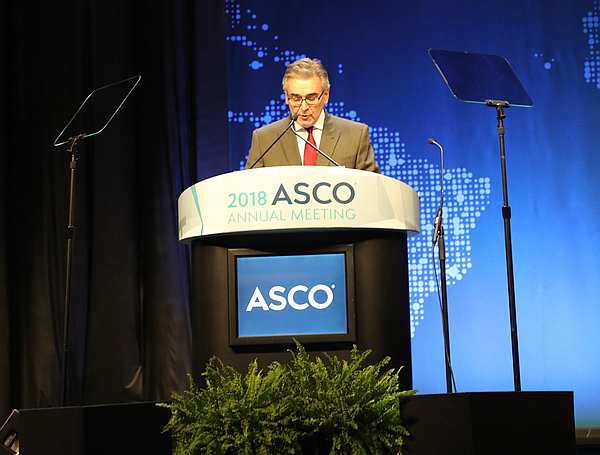 Joseph Sparano, MD, Associate Director of Albert Einstein Cancer Center, and Associate Chairman, Oncology, Montefiore Health System, presented his groundbreaking research findings from the Trial Assigning Individualized Options for Treatment (Rx), or TAILORx trial at the 2018 American Society of Clinical Oncology (ASCO) Annual Meeting. The study showed no benefit from chemotherapy for 70 percent of women with the most common type of breast cancer. The trial was supported by the National Cancer Institute (NCI), part of the National Institutes of Health, and designed and led by the ECOG-ACRIN Cancer Research Group, of which Dr. Sparano is vice chair. This research, resulting from a 12-year study, showed that for women with a specific type of breast cancer, treatment with chemotherapy and hormone therapy after surgery is not more beneficial than treatment with hormone therapy alone. The new data will help inform treatment decisions for many women with early-stage breast cancer. "The new results from TAILORx give clinicians high-quality data to inform personalized treatment recommendations for women," said Dr. Sparano, who was lead author on the research. "These data confirm that using a 21-gene expression test to assess the risk of cancer recurrence can spare women unnecessary treatment if the test indicates that chemotherapy is not likely to provide benefit." For more information on Dr. Sparano and the TAILORx trial, visit https://www.cancer.gov/news-events/press-releases/2018/tailorx-breast-cancer-chemotherapy. The New York Proton Regional Center—a pioneering collaboration between Montefiore, Memorial Sloan Kettering Cancer Center, and Mount Sinai Health System—will open in East Harlem in 2019 to offer Proton-beam therapy, a powerful alternative to traditional radiation treatment. 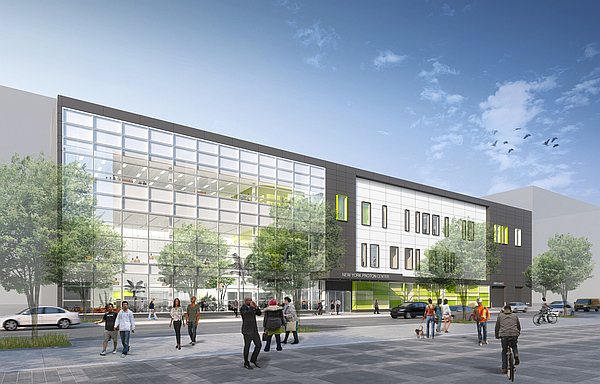 The new Center will provide specialized radiation treatment to children and adults with tumors extremely close to highly sensitive structures, such as the base of the brain and the heart. This pioneering center, recently featured in the New York Times and Crain's New York Business, is the first of its kind in New York State and one of only 25 such facilities nationwide. Proton-beam therapy is an alternative to traditional radiation, allowing physicians to deliver full therapeutic doses of radiation while sparing surrounding healthy tissues and organs. Evidence supports its use in pediatric cancers and areas where extreme precision is necessary to treat tumors, such as the central nervous system, head and neck, and eyes. Shalom Kalnicki, MD, Chair, Radiation Oncology, stated in the Crain's article, "Pediatrics is the biggest need." Montefiore Einstein Center for Cancer Care recently deployed the APOTECAchemo robotic system, which is designed to deliver unparalleled accuracy and increased safety for patients. 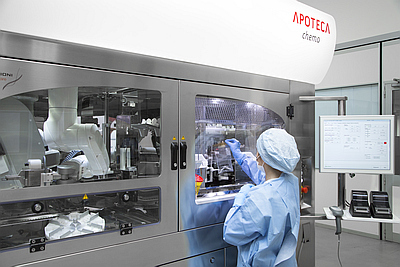 APOTECAchemo empowers our Pharmacy through robotic technology that automates the drug compounding process. This technology is found at only five major academic medical centers nationwide. "Our investment in leading-edge devices illustrates our commitment to providing our patients with the most advanced cancer treatments," says Roman Perez-Soler, MD, Chairman, Oncology; Chief, Division of Medical Oncology and Deputy Director, Albert Einstein Cancer Center, Montefiore, and Guttman Professor of Medicine and Molecular Pharmacology, Einstein. The APOTECAchemo consists of a robotic automation and information platform to prepare intravenous doses of chemotherapy. Risks to healthcare workers associated with compounding hazardous drugs are minimized while patient safety is improved. Montefiore's APOTECAchemo makes every step of the process programmable, controllable, traceable and accountable. Patients benefit from the high degree of accuracy of the system, and built-in sterility measures that increase safety.